Infiniti has provided the first glimpse of its new QX80 ahead of its full reveal at the New York Motor Show. The luxury manufacturer promises the QX80 Monograph will explore upscale luxury via its new design while also developing its standing in the SUV segment. As hinted at in the picture, the new concept combines luxury with a commanding presence, and demonstrates the high levels of space and utility for which the QX cars are renowned. The brand has stated its aim is to present the QX80 Monograph as the ultimate expression of futuristic luxury SUV design and illustrate how the design of the QX80 could evolve. It applies the brand’s latest design language in a sculptural and artistic way to combine power with elegance, creating a commanding and sophisticated presence on the road. 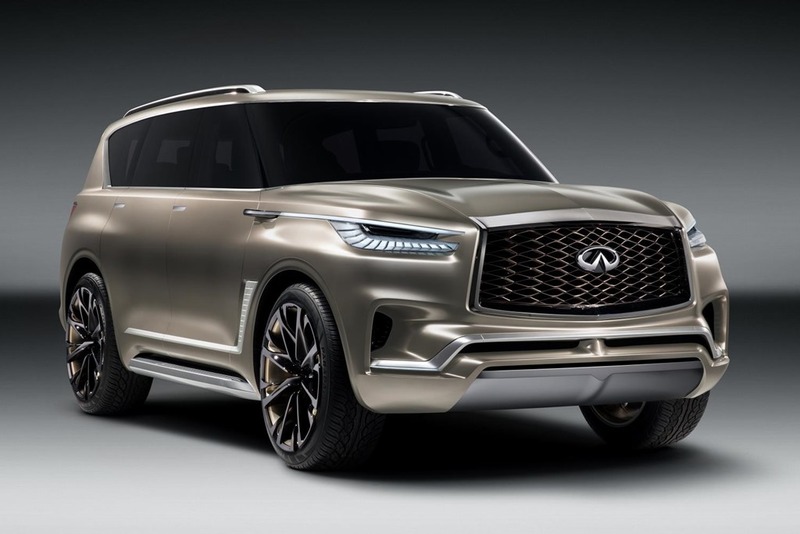 “QX80 Monograph shows our concept of luxury and style on the road, and is an exploration into how we could enhance our future Infiniti offering in the luxury SUV segment.” said Roland Krueger, President of Infiniti. Unmistakable Infiniti signature design elements include the ‘double-arch’ grille, which for this vehicle is taller and wider, creating a powerful new ‘face’, while the crescent-cut D-pillar has been reshaped. We’ll be covering this luxury SUV in more detail when it is unveiled in New York.